“Rural transformation requires a holistic economic approach to connect rural and urban economies. Strengthening these connections can spur growth and diversification in the farm and non-farm sectors, closing socio-economic and quality-of-life gaps between urban and rural areas, ” according Achim Steiner , Administrator, United Nations Development Programme and co-author of the lead chapter in the report. The report emphasizes that rural areas could become premiere hubs of innovations in just under a decade. It recommends revitalizing rural areas with a focus on five building blocks: creating farm and non-farm rural employment opportunities; achieving gender equality; addressing environmental challenges; improving access to energy; and investing in good governance. Job creation is critical to reducing poverty in rural areas, especially in the rural areas of Africa south of the Sahara, where poverty is high and youth populations are large. Policies that encourage investments in rural transport networks, telecommunications, and human capital in African countries can prepare rural youth for new jobs in rural and urban areas, and bridge rural-urban gap, according to the report. “Rapid urbanization in Africa is creating new opportunities for rural transformation and revitalization, mainly due to growing demand for food in urban areas, and investments in new staple food processing technologies as seen in the case of Ghana, Mali, Tanzania and Senegal,” said Ousmane Badiane , director for Africa, IFPRI and co-author of the report chapter on Africa . In South Asia too, there is a greater emphasis on growth in rural employment, and agricultural productivity by the strengthening of the agriculture-based rural nonfarm economy, said Pramod Joshi , director for South Asia, IFPRI, and co-author of the report chapter on South Asia . To ensure all can participate and benefit from growth and transformation of rural areas, the report recommends investing efforts in reducing general disparities. “Empowering women can improve agricultural productivity, the overall well-being of mothers and children, and increase their capacity to contribute to rural revitalization,” said Hazel Malapit , researcher at IFPRI, and co-author of report chapter on gender equality . Beyond economic progress and human capital, rural environments must also be restored and improved to secure the many services they provide. “To engage rural residents as custodians of valuable natural resources, their rights to these resources should be recognized in law and practice,” said Claudia Ringler , deputy division director, and co-author of the report chapter on environment . Achieving these policy goals require investments in good governance. The report identifies three aspects of governance critical for rural revitalization: appropriate and predictable laws and regulations; effective policy implementation and enforcement; and accountability of those in positions of power and authority. This year’s report also features chapters on how Europe’s experience can provide lessons for rural revitalization in developing countries; food policy trends from Africa, Asia, Latin America and other regions; updated data on food policy indicators and more. 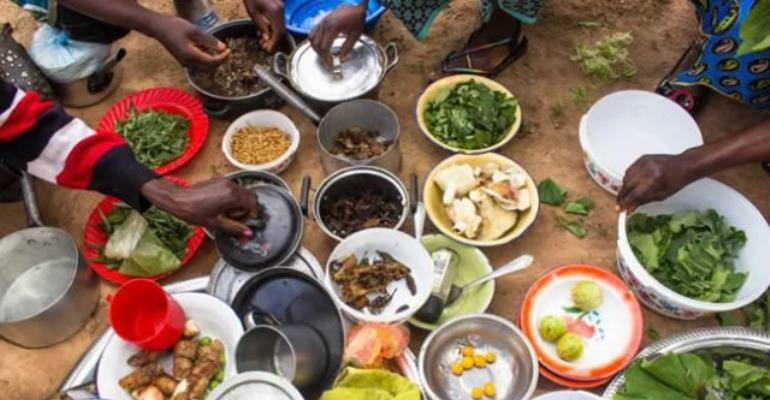 The report is the latest in an annual analysis of developments in food policy around the developing world, based on the most recent available evidence.